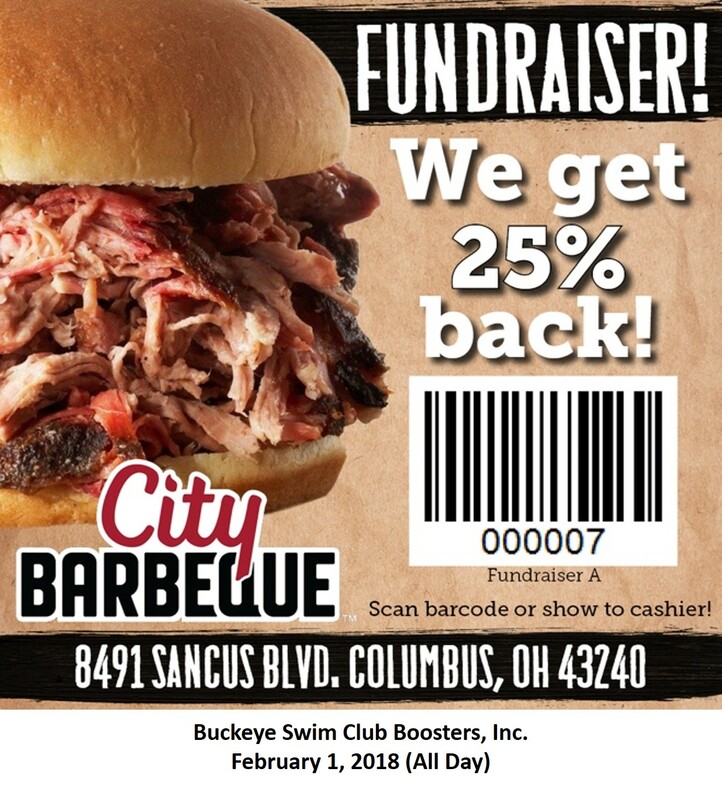 Please come out and support BKYS at City BBQ on Thursday, February 1, 2018. The team will receive 25% of all proceeds with the attached coupon. Be sure to help advertise by posting to your social media and printing out coupons for family, friends and coworkers! Let's enjoy some delicious food and raise some money for the team! See you all there on Thursday! group’s current tax ID number in order to schedule your event. 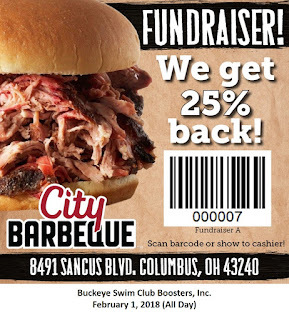 • You may not pass out or distribute flyers on City Barbeque property. • The percentage of sales you will receive is based on food, beverage, and bottled sauce sales. Gift card or tee shirt purchases are not included in this total, nor is sales tax. • Print the flyer and distribute to your friends, family, colleagues, etc. them to print and distribute. include the date of your fundraiser when communicating it out to your friends! enjoying some ‘que, and we will get 25% of the sales back! date and we will receive 25% back! • Come out for our fundraiser on XYZ date. Please share this post with your friends!